Risk avoidance has to be addressed not only at the outset of any building project but throughout its lifespan and by all parties involved in the contract. 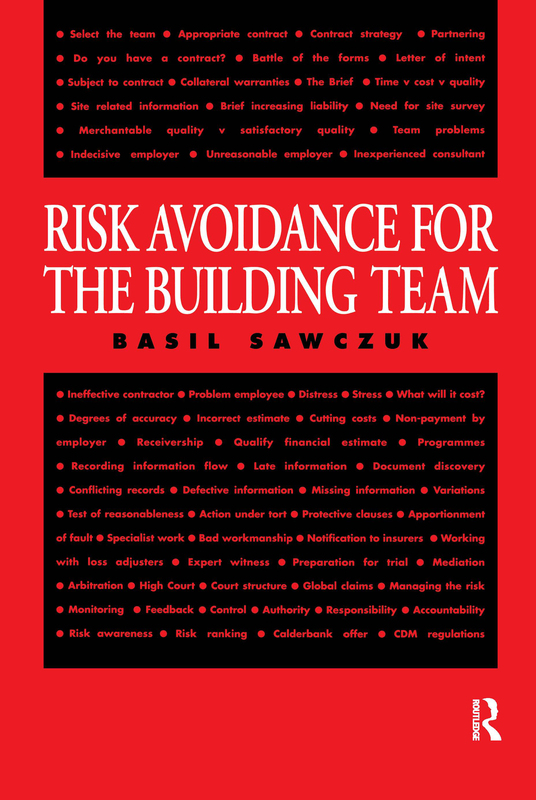 This book covers each stage of the construction process in turn and examines potential problem areas from the point of view of each of the three main parties involved: employer, consultant and contractor. * a balanced approach, looking at problems from all sides to promote understanding of adversaries' viewpoints.